What are the cheapest and most expensive cars to service? Getting your car serviced is never going to be an expense you are happy to have, however it is unfortunately necessary and unavoidable. Naturally, some cars are more expensive to service than others, which makes selecting an independent garage a more appealing choice as a way of saving money. A recent survey published on www.thisismoney.co.uk, listed the top 10 cheapest and the top 10 most expensive cars to service in the UK. The figures were based on a sample size of 250,000 motorists and were using costs of independent garages as opposed to a main dealership, which are considered to be more expensive than the independent garages. As an independent garage based in North London, we are, of course, able to service all of these makes and models, whilst providing the customer service support our clients have come to expect. 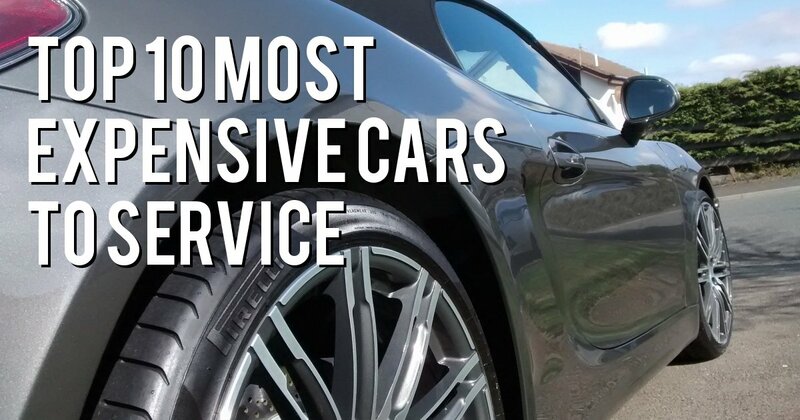 It will come as no surprise that the service costs on cars such as Porsche, Jaguar and BMW are much higher than those published on the cheapest list. At times, people buy a more expensive car without considering the on-going service and maintenance costs. If you have one of the cars listed below, then we will be able to help lower your service costs when based on the costs of a main dealership. Whether your BMW requires an annual service or you have a Jaguar requiring an MOT, we are able to help. We believe it is fair to say that, no matter whether you live in London and have a car on the cheaper service list or a car on the most expensive service list, we will be able to help you keep your servicing costs down. If you would like any advice or help about your service, simply give us a call us on 0208 905 8788 and one of our experienced service technicians can book your car in.